I recommend the Barron's 6th edition to my students. 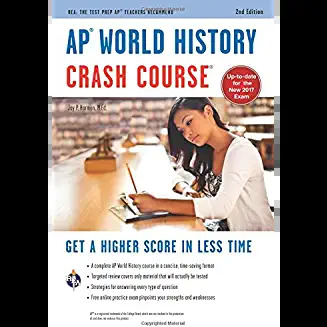 As an AP World History teacher, I would currently rate this resource as my first choice. I recommend the Barron's 6th edition to my students and their parents. My students from last year also rated this as their first choice. I am trying to get a class set for this school year. The book features a wide range of different summarizations and tools to fit any studier's needs, from quick synopses of a whole time period to more in-depth pages dedicated to a particularly important civilization or phenomenon. The book advertises "Everything you need to get a 5," which, if used properly, it will most certainly provide. 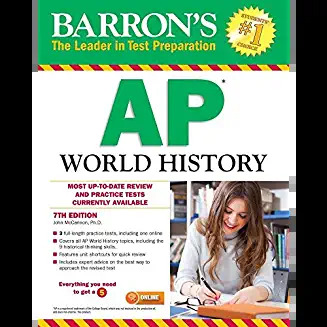 This book is, without a doubt, the best book for the AP World History examination. Without any prior knowledge in World History, I self-studied the material to a great level of detail (I had studied it for about 3.5 months in order to fully understand the material, which is quite dense). A good investment - with huge potential dividends for parents! 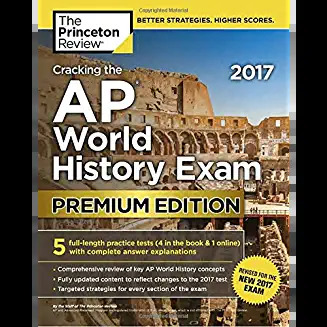 Look, getting your kid to do review for AP isn't that easy...at minimum, you get half a dozen practice tests - my kid already did three, this has got to help...there are also some decent tips in the book. I would say a good small investment which, if your kid gets a 5 on that test, and your college accepts the credit, will pay you back HUNDREDS (or thousands) of times (or more)! She feels much better prepared for the exam. Bought for my granddaughter who is going to take the exam this month. The practice test have been very valuable to her to help ubderstant the type questions that are being ask. She feels much better prepared for the Ap world history exam. I loved this book because this book is concise and only deals with the essential information. My AP teacher recommended it to me, and I am glad he did. If you're a student who wants to get a good quality review, I believe this is the right book for you. Great book for studying. Just make sure you order the correct edition (ie, 2017 vs 2016) - my son's study buddy received an older version. I'll post more info when we get the test results.